State v. TL 12024XXXXXMM10A – Client was arrested for Domestic Violence and charged with one count of Domestic Battery. Client faced a maximum of 365 days in jail. After filing the appropriate motions the Office of the State Attorney dismissed all charges. Client did not even have to appear in Court once. State of Florida v. MP – Client was charged with one count of Intimidate and/or Threaten an Informant (NO BOND), Retaliating against an Informant, and Criminal Mischief. An offer was made by the Office of the State Attorney of incarceration. On my advice the client rejected the prison offer and chose to go to trial. The case was dismissed on the morning of trial by the Office of the State Attorney. State of Florida v. C.A. Case no XXXX3199 – Client was arrested by the Boca Raton Police Department for Felony Battery. This incident occurred during a bar fight in which the Defendant was arrest for “injury inflicting permanent disfigurement to the victims face.” Defendant faced a maximum prison sentence of 5 years Florida State Prison. Defendant hired The Ansara Law Firm. Attorney Richard Ansara made contact with the Office of the State Attorney. Shortly thereafter all charges were dropped. In fact, the client never even had to go to court once. State of Florida v. R.B. Case no XXXX1740 – Client was arrested by a Broward County Sheriff’s Deputy for Driving on a Suspended Licensed. In fact, this was the clients 3rd offense within 5 years. As a result, the client faced a permanent 5 year suspension plus 60 days in the Broward County Jail. Client hired The Ansara Law Firm. Attorney Richard Ansara reviewed the case and all relevant police reports. After investigation Attorney Richard Ansara filed a Motion to Suppress evidence arguing that the Officer had no Probable Cause to stop his clients vehicle. The Honorable Judge Seidman heard Attorney Richard Ansara’s argument as well as that of the prosecutor from the Broward County State Attorney’s Office. The Court Ruled that the Officer had no Probable Cause to stop the Defendant’s vehicle and GRANTED Attorney Richard Ansara’s Motion to Suppress. All charges were dropped. State of Florida v. J.C. 07XXXXX497 – Client was arrested by the Seminole Police Department for Battery and Possession of Cocaine after a fight erupted at a local club. Client faced a maximum of 6 years in Florida State Prison. Client hired The Ansara Law Firm. Attorney Richard Ansara made contact with the Office of the State Attorney. As a result the Battery charge was dropped. Shortly thereafter, the possession of cocaine charge was dismissed as well. In conclusion, all charges were dismissed. City of Fort Lauderdale v. D.C. 07XXXXXX389 – Client was arrested for retail theft. Client faced 364 days in the Broward County Jail. Client hired Attorney Richard Ansara. Attorney Richard Ansara managed to get the case dismissed and removed from his clients criminal record. Client did not have to go to court once. State of Florida v. D.D. 07XXXXXX566 – Client was arrested during an undercover street racing sting operation for racing on a public road/highway. Client faced a 1 year suspension of his drivers license and a 60 day Broward County Jail Sentence. Client hired criminal attorney Richard Ansara. Richard Ansara filed a motion to declare the racing statute unconstitutional arguing that the language within the statute was too vague. Upon receipt of this motion, the Office of the State Attorney dropped the charge of Racing rather than risk having the entire racing statute declared void by the court. City of Fort Lauderdale v. C.D. 07XXXXXX872 – Client was arrested by the city of Fort Lauderdale Police Department for Possession of a Controlled Substance. The Defendant faced a period of incarceration of up to one year in the Broward County Jail. 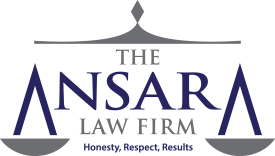 Client was referred to The Ansara Law Firm. After review of the case and speaking with the Prosecutor’s Office of the City of Fort Lauderdale all charges against the client were completely dismissed. State of Florida v. L.E. Case no. 07XXXXXX674 – Client was arrested by the City of Fort Lauderdale Police Department for Felony Possession of Marijuana, Possession with intent to sell within 1000 ft. of a school zone, possession of MDMA, and Loitering and Prowling. Client faced a maximum sentence of 26 years in Florida State Prison. Client was referred to criminal attorney Richard Ansara. Attorney Richard Ansara made contact with the Office of the State Attorney. All drug charges were dismissed. Client only had to pay a fine of $213.00. State of Florida v. S.F. Case No. 06XXXXX011 – Client was arrested for violating his probation and was remanded to the custody of the Broward County Jail. He faced 5 years Florida State Prison. Defendant’s family came to The Ansara Law Firm because they were unhappy with their prior attorney. Attorney Richard Ansara negotiated a plea of time served and the client was released that day. City of Fort Lauderdale v. A.F. case no 07XXXXX444 – Client was arrested by the Fort Lauderdale Police Department for Possession of Cannabis. Client hired criminal attorney Richard Ansara. All charges were dismissed. State of Florida v. D.G. Case no 07XXXXX424 – Client was arrested for a violation of probation. Due to the serious nature of his underlying case, Burglary with Assault and Battery, his probation Officer recommended to Judge John Murphy that the Defendant be sent to 6 years prison. Defendant’s family hired The Ansara Law Firm. After speaking with the prosecutor on the case, Attorney Richard Ansara convinced the court to not send the Defendant to prison but rather to offer him a second chance at probation. The Court accepted this argument and the client was released that day. State of Florida v. D.H. Case no. 07XXXXX007 – Client was arrested for disorderly intoxication while on probation for DUI. As a result, he violated his probation. Client hired The Ansara Law Firm. Richard Ansara appeared on the client’s behalf in front of the Honorable Judge Ginger Lerner Wren. After a violation of probation hearing, the Court ruled the Probation Warrant Dismissed. State of Florida v. A.J. 2007XXXXX392 – Client was arrested by the Riviera Beach Police Department for Disorderly Conduct, Disorderly Intoxication, and Resisting an Officer without Violence. Client faced 3 years in the County Jail. Client hires Richard Ansara. After a thorough investigation, Richard Ansara confirmed that his client was not the aggressor and was in fact brutally beaten by law enforcement for no justifiable reason. Criminal lawyer Richard Ansara brought this to the attention of the Palm Beach Office of the State Attorney. All criminal charges were dismissed. In fact, client never had to go to court once. State of Florida v. D.K. Case No. 07XXXXXX611 – Client was arrested for Driving Under the Influence 2nd Offense, and Driving on a Suspended Drivers License. Client hired Attorney Richard Ansara. After a long investigation, attorney Richard Ansara discovered that the arresting Officer was actually being investigated for criminal activity. This information combined with solid grounds for a Motion to Suppress Evidence filed by Richard Ansara enabled him to convince the Office of the State attorney to dismiss all criminal charges. All charges dismissed. State of Florida v. R.L. 07XXXXXX968 – Client was arrested for Poss/Sell/Del Methyphenidate, Poss of Cannabis, and Possession of Drug Paraphernalia. Client faced 7 years in Florida State Prison. All criminal charges were dismissed and removed from the clients criminal record. State of Florida v. R.M. – Case no 07XXXXX557 – Client was arrested for Burg/Structure, Grand Theft, and 3 counts Criminal Mischief over 1k. Client faced 25 years in Florida State Prison. Client’s family was referred to Attorney Richard Ansara. The prosecutor from the Office of the State Attorney wanted the client convicted on all counts and to serve 3 years in Florida State Prison. Attorney Richard Ansara negotiated a 18 month probationary term and the client was not convicted of any criminal charges. J.D. v. D.M. Case no. 07XXXXXX604 – Client was served with a Restraining Order by his neighbor after a physical dispute. Client hired The Ansara Law Firm. Attorney Richard Ansara convinced the Court that the Restraining Order failed to meet the statutory requirement of 2 separate incidents. As a result, the restraining order was Dismissed. State of Florida v. D.M. Case No. 07XXXXXXX787 – Client was arrested for Possession of Cannabis. Client was already on Bond for a pending Possession of Cannabis with Intent to Sell/Del case. As a result, client should have been held no bond in the county jail. However, client hired attorney Richard Ansara. After making a strategic timing decision by attorney Ansara, the case was dismissed. State of Florida v. D.M. Case no. 07XXXXXX020 – Client was arrested for a Felony Amount of Marijuana. He was charged with Possession of Cannabis w/ Intent to Sell, and Possession of Drug Paraphernalia. Client faced 6 years Florida State Prison. Client was referred to Richard Ansara, Esq. by a previous client. After reviewing the relevant police reports and personally visiting the scene of the traffic stop, Richard Ansara determined that a traffic sign was not properly posted. As a result, a proposed Motion to Suppress was provided to the case filing attorney. After review, the Office of the State Attorney decided to drop all charges. Client did not have to go to court once.